Italian design sweetheart and sometime children's book author, Munari brings together art, science and the natural world in this amazing little book that begs us to take a different look at something we see everyday. The man had a brilliant eye, and not many children's books show the meeting of the real world and the imagination so well. Stones are like small worlds. If you look at them well, you discover many things images, stories, strange markings. And stones become jungles, oceans meadows, hills. Or the earth--as seen by an astronaut strolling on the beaches of the moon! 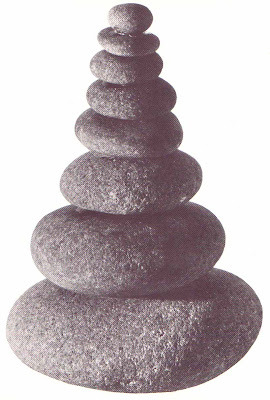 Some pages show simple photographs of rocks that one might imagine look like something else. 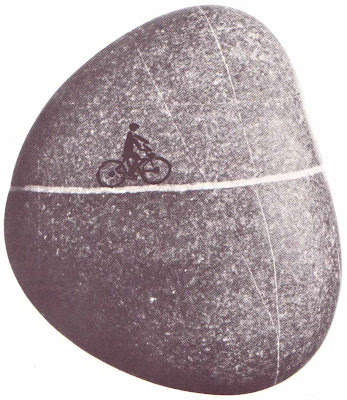 (Lots of those gorgeous smooth beach stones you find up North in Maine.) 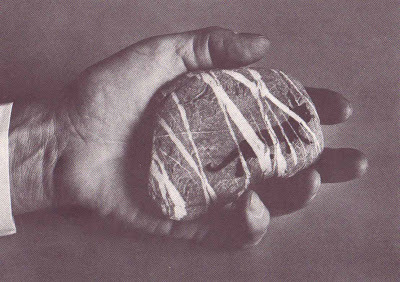 Others, Munari has taken the natural image on the rock and draw on it to complete a simple but deeply thoughtful scene. A wonderful art project for an adult or an rainy day activity for a child. This book is what happens when you unleash a real artistic thinker on a children's book. The little rocks remind me of the sort of things you might see sitting on the window sill of an artist's home. An everyday object turned inspiring with some dabs of ink and a sprinkle of creativity. I'm keeping this one for me. Oh wow, what a find! isn't it great!?! it is totally in my rainy-day project pile. i have all these great rocks we brought back from maine. now i just have to fish them out of the turtle tank. ugh. I attempted to write a report on this one back in my primary school days. 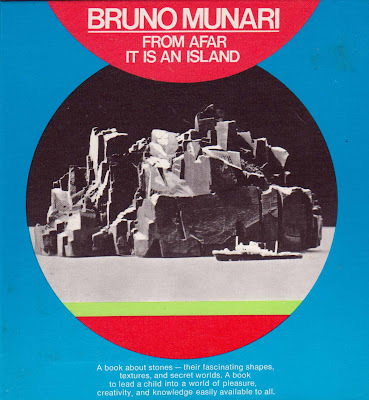 I think I may have based my entire report off the cover of the book, believing it to be a photograph of an actual miniature island. At the time, mind = blown. The teacher saw what I was up to and redirected me to another subject. Very glad to see that this book actually exists and wasn't just a far off, made up memory. Glorious.